Sometimes when I’m learning a language, I have the impression that I’m not making any progress and that I’ll never be fluent. I feel like I’m going to stay in a beginner level and never be able to read a book or watch a Tv shows without help. I have a really bad habit to only see the difficulties like I won’t be able to pass through them, like I’m not good to pass through. I also have the tendency to want to be good right away, which is impossible. All those habit are really hard to stop and can really discourage me. When I first start learning Korean, the first year was really great I was always feeling like I was learning new things. Since a few months, I don’t know why, but I constantly have the impression that I’m not making any progress. (Of course the fact that I’m not really constant in my studies isn’t helping XD) When in fact, I’m nearly always getting better and learning new words. I’m just forgetting that I’m learning and I’m forgetting how much works and effort that I’ve made to get where I am. As I’ve started learning Japanese a year and a half ago and as I’ve learned Chinese for a year, I can see that I’m not a beginner anymore in Korean. When I think of it, I’m able to say and understand all the things learning in Japanese when it comes to Korean. Things that are still hard in Japanese are now easy for me in Korean. Seeing this made me realize, I’m way better in Korean than I thought or wanted to think before. Of course I still have a long road to go be advances in Korean and I’m going to face a lot of difficulties to get there, but I hope that instead of discouraging myself I’ll be able to look back to how far I went until there. It’s sometimes way easier to discourage yourself and not try harder to get through difficulties. Nothing is more easy than stare at something difficult and just convince yourself you’ll never be able to do it, at least for me. I really need to learn to be less harsh on myself and appreciate all the work I’ve done to get to the point I am. I’m totally conscient it’s easier to say than to do, but I’ll keep working to change that. I’m sure I’m not the only one to be harsh on myself like that. So if you feel like you’re not improving look back at when you first started to learn korean or anything else. You’ll realize how much you’ve learned since then. I hope you all had a happy holiday season and a happy new year. I wanted to talk about Memrise for a while, so I decided to do it today. Memrise is a site and an application where you can create lesson with the words you want. You have to write the world in your target language and the translation in your language. You can also use a list done by an other users of the site. Then, to make sure you memorize the words there are a few activities like writing the translation of the word in your target language or with multiple choice questions. A few months ago I’ve downloaded the application of Memrise on my phone and I really enjoyed using this application. It’s really helpful when you have to learn a lot of words in a small period of time. It helped me a lot when I had to learn kanji for the kanji test we had each week. I think that Memrise is a really helpful way to learn words in this kind of situation or just to improve your vocabulary. However, I think that in the long-term you shouldn’t learn vocabulary only through that kind of method. First, because some of the activities like the multiple choice question can be too easy when you know most of the other choice. Also, once you learn a word you won’t have to review it before a certain amount of time, which is fine when you know the word. But I’ve found myself more than once not really knowing the word and not being able to review it before that period of time was finished. 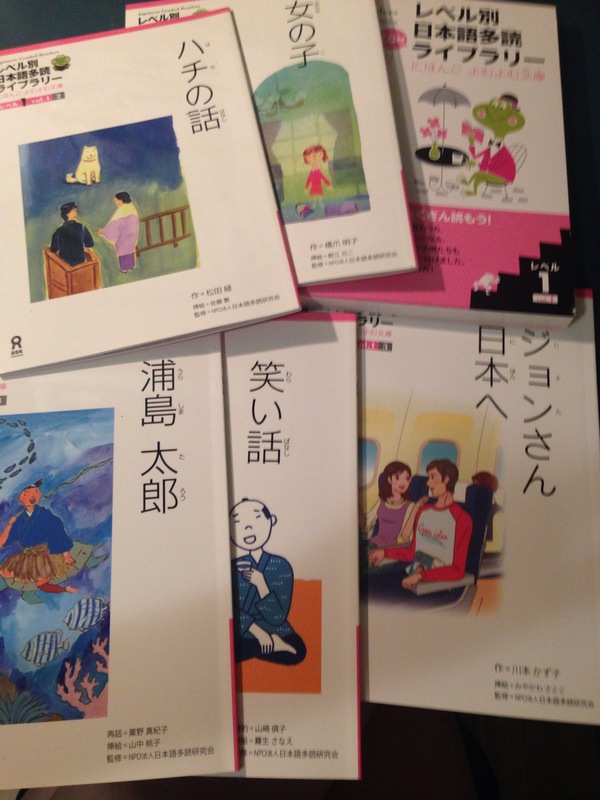 Since I have my part-time job, I’ve purchase some new books to learn Korean and Japanese and also some other stuff. So I thought I should do a small haul. First of all here is the stuff I’ve bought back in June or July. 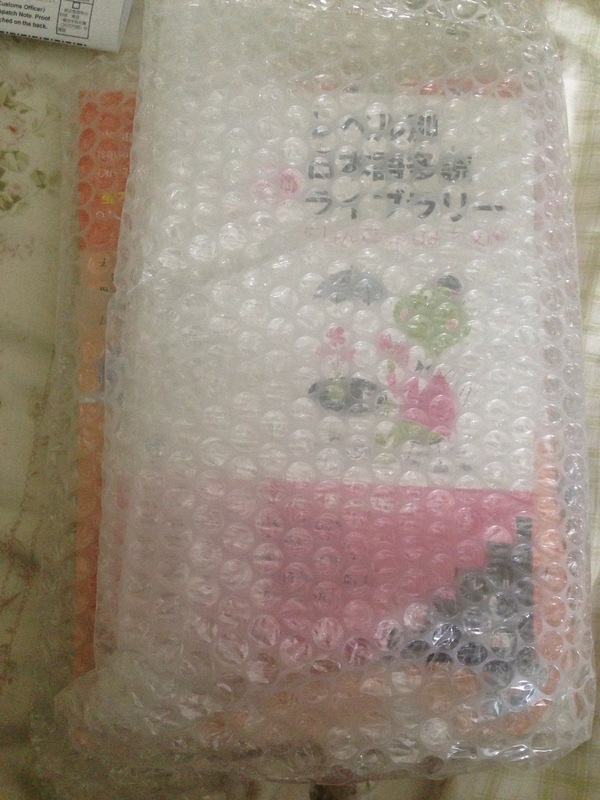 I bought an other ehwa textbook the 3-2, since I’ve finished the 3-1. I’m actually kind of far in the textbook lesson 12 (this textbook start at lesson 8 and end at lesson 15) I don’t think I’ve talked lot about that textbook before since I stop using it for a while. It’s a really good textbook with a lot of reading, listening and writing exercises. One thing I like is that after level 3, they only use Korean. Which is scary at first because even the explanation for the grammar point are in Korean, but once you go through a few lessons it gets easier and more fun. At the same time I bought the Ehwa textbook I also bought the volume 3 of 밤을 걷는 선비. For those familiar with Korean dramas they’ve made a drama out of that manhwa during the summer starring Lee Joonki, Lee Yoobi, Shim Changmin (of Dbsk) and Lee Soohyuk. It’s not the best drama I’ve ever seen (I think I would give Healer that title), but it’s not the worst nether. I’ve also got a bromide magazine as a gift for my purchase. For those how don’t know it’s a magazine talking about kpop. More recently, I’ve bought two travelling book about Korea the first one is from lonely planet and the second one from eyewitness. In the travel guide from lonely planet the even have an section on the history of Korea which is awesome! I’ve also bought Modern Korean. I’ve got through two lessons so far. 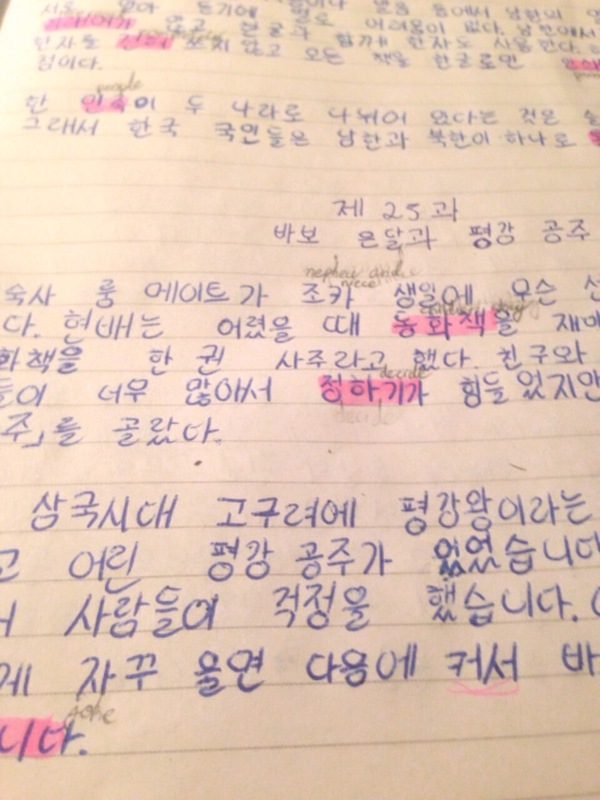 It’s a bit like learning “Korean through fairy tales” because each lesson start by a text. But it has better grammar explanations, with more sample sentences. Also there is some Hanja practice from lesson 12 to lesson 24. As for Japanese stuff I’ve bought the first volume of the level 2 of the Japanese graded reader series. 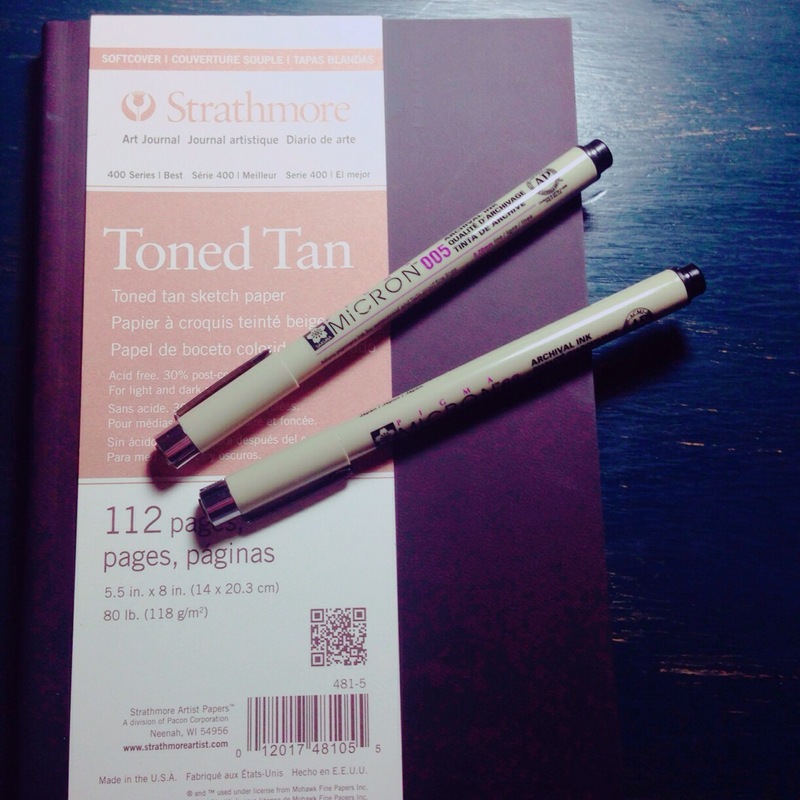 I’ve also bought a toned tan sketch book. I still didn’t have the time to use it, but I’m really excite to draw on toned paper! I’ve also bought some micron pens to do line-art. So here it is, my small haul of stuff I bought since June. Hope you liked it. It’s been a really long time singe my last post. I’ve been way more busy than I thought I would be during the summer because of my job. And school has started a three weeks ago and I already had a exam yesterday. Also, I’m still trying to figure out what the blog will become. I’m still learning korean by myself and japanese at school, but I pass less time studying korean that I use to. Instead I’m starting to draw more often, like I use to dima few years ago. I won’t quite learning korean and japanese (but I did stop learning chinese mandarin for the moment), but I’m just not sitting and studying as often as I used to. Instead I listen to Podcast and watch dramas to keep on learning a bit. I’ve also been using memrise these last few days. I don’t like learning vocabulary out of context normaly but I kind of like this application. So that’s what I’ve been up to lately. I have no idea what I should do with my blog. Keep it only and language blog or make it an art and a language blog. I guess I should just let things go and post what I want. If one day I want to talk about art I will and if another day I want to talk about Japanese or Korean I will. I think we will see as I post what this blog will become. I shouldn’t be worrying about that. Ps: sorry if there’s spelling mistakes. I’m writing this post on my phone and my autocorrector is trying to correct every word I type since I’m not writing in French. Here, you got to see my terrible handwriting XD… Is there someones who have tips to get better? I struggle a lot when I have to write things like 울면, 쫓안했습니다 or 옮기려다, because I always end up writing under the line for the 울, 쫓 and 옮 parts … Maybe I should try to write more in the middle of the lines so I don’t touch them… I don’t know. It would be so easier if I had some examples of handwriting, but on the internet you can only fond one sort of handwriting that looks like mine (it’s kind of the basic way to write). 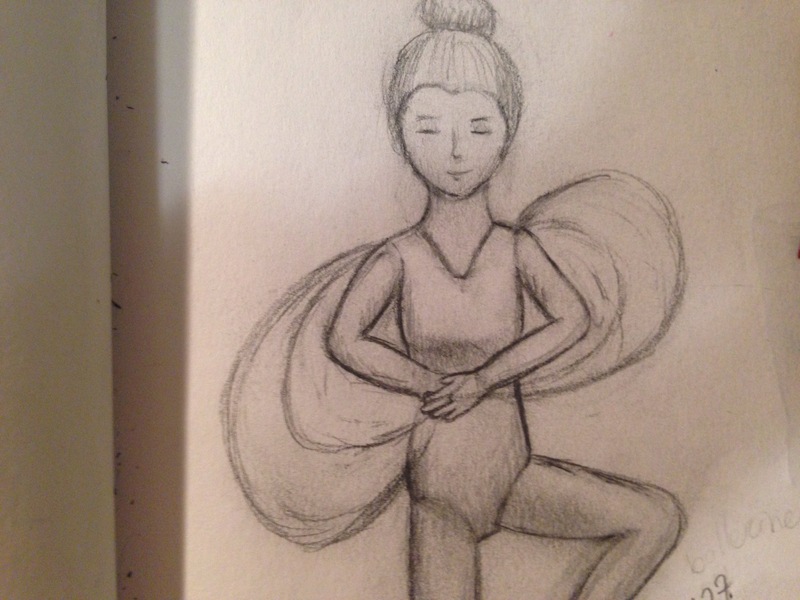 I’m going to keep in practicing so I don’t to under de lines when I write..
Today was really a productive day! I finished one of my textbook (전래 동화로 배우는 한국어/Learn Korean Through Korean Folk Tales) and I’ve read a couple of pages of my manga (yotsuba!). Since I haven’t try too hard to understand everything sentences it was easy. :) When I first started to read yotsuba!, I tried to understand every single thing they were saying, but today I just read it for fun without trying to understand everything. It was actually way easier, but there is still a lot of words, sentence structure and slang I don’t really understand. I think I will continue to read yotsuba! like that since I’m just reading it for fun and not to study. 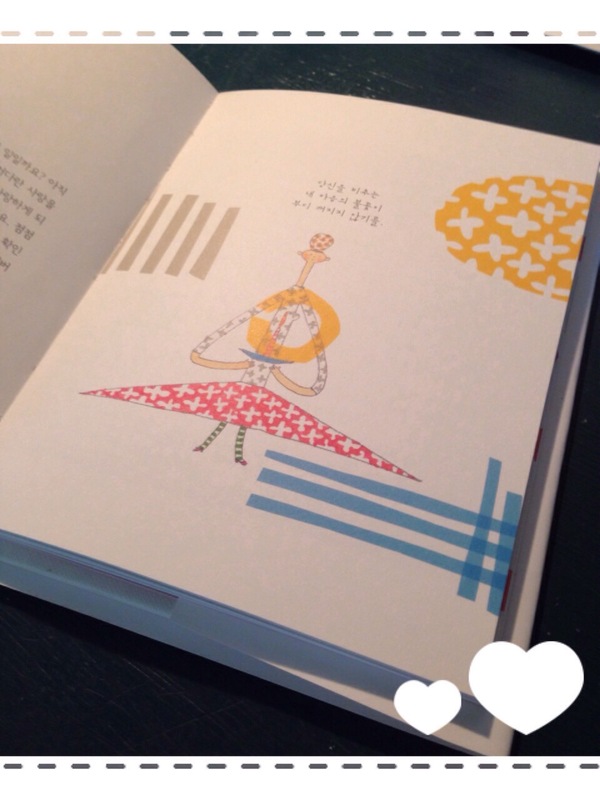 I’ve finally finished a book in Korean! I have read some manhwas, but never a book. I’m so proud of me! The book was a bit hard because of my lack of vocabulary and some long sentences that took more time to understand, but it wasn’t so bad. If you want it you can buy it at twochois.com. I really feel like I read that book (힘내요! 당신) at the right moment, because it helped me a lot to think more about what didn’t feel right in my life and to find what I really wanted to do. These days I’ve been studying Japanese with Genki and I’ve learned about the ru-verbs and the u-verbs. 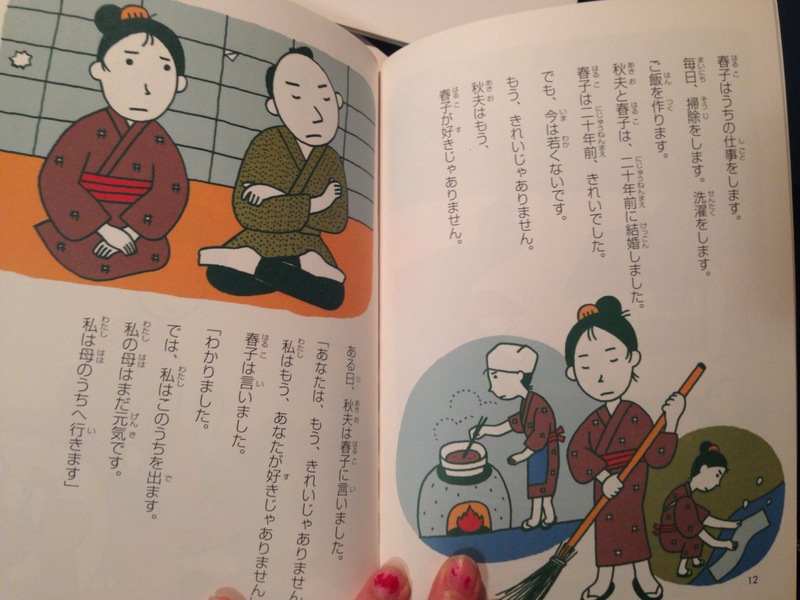 In the textbook I have for school (minna no nihongo) we start by learning the formal form of verbs, the Ines ending with ます and we don’t see the dictionary form of the verbs right away like in Genki. So, basically, there is two types of verbs the る-verbs and the う-verbs. The る-verbs are broken down in two part, the verb stem and the suffix る. When you want to conjugate them in the formal form you simply drop the る and add ます. As for the う-verbs, the verbs can also be broken down in two part, the verbs stem and the final vowel an う. For example, in 飲む（のむ）the verbs stem is nom and it’s followed by the suffix u. When you want to conjugate them in their formal form you need to use the hiragana who is in the same “row” (for example all the ones who start by a m (ま,み,む,め,も)) that end with the vowel i. The verb 飲む will than become 飲みます. Of course there are a few exceptions of う-verbs ending with ru, like 帰る (かえる). It seems that the verbs having the vowel a, u or o right before the る are う-verbs for sure. The ones having the vowels i or e before the る are mostly る-verbs, but there is some exception like かえる. I’m happy, because I finally know what to search for in a dictionary. I feel like it should be introduced earlier in the minna no nihongo textbook because it’s so important to learn how the verbs are formed, how to find the verbs stem and how to find them in a dictionary, but I guess that just a personal opinion ^^. I know… I’m really a terrible blogger. I really don’t post often, but I’m in vacation right now so I will do my best to update more often. Actually, I have an online class for a month for university and I got a job for the summer, but I should have more time. Yeah! I actually didn’t post a lot because it was my finals not long ago so I had to study a lot. I also didn’t update a lot because I had to work a lot for one of my class. In that class there were only 3 assignments to do during the semester and my first one didn’t do as well as I wanted so I really put a lot of work on the others and it was worth it! I’m really happy and I hope that I will stop to feel discourage when I don’t do as well has I wanted. Let’s put school aside since it’s not really interesting and talk about language learning during this time. So for Chinese, we’ve nearly finish our textbook. There are only 4 lessons that we haven’t cover that I plan to look at during the summer. We learned two grammar points about sentence structure the 得 (degree complement particle) and the 的 that works like the relatives pronouns who, that and where. I will probably do a post about it later. I’m still looking for more resources to learn and just read Chinese, so if you know some let me know. As for Japanese, we have gone halfway through our textbook. I fell like it’s a bit slow sometimes so I try to learn more by myself. 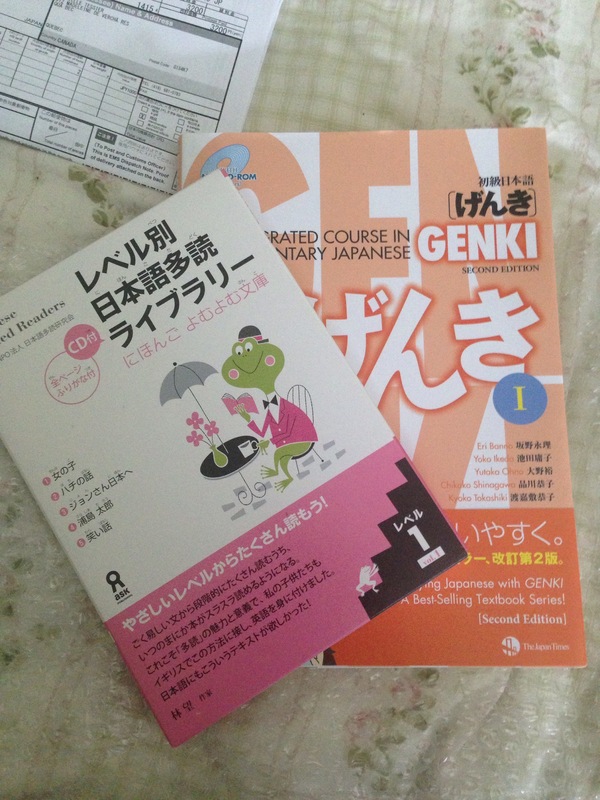 I actually bought the Genki 1 and graded readers books not long ago and I nearly finish all the stories. I’ve got the level 1 and I will definitely get level 2. They are really good and fun to read. I got those two books from whiterabbitjapan.com and I didn’t have any problems. They ship my package in 2 days and I got it only 3 days after because it was less expensive to take EMS than the regular shipping, which is really surprising. It costs me 20$ for the EMS shipping when it’s normally what it costs me for regular one. Genki is really well done. They have a reading and writing section at the end that I really like. Some stories have a more text like this one an other have only a two or three lines by pages. As for Korean I didn’t use my textbook a lot these days, but I’ve found some Disney’s and Pixar movies like Brave and How to train your dragon dubbed in Korean on the internet and I’ve also found a Korean Kid’s show 안녕자두야 on youtube it’s easy to watch and really cute. Otherwise, I’ve also been drawing a lot. I’ve got a new sketchbook, new pencils to draw and I’ve also bought a tablet to do some digital drawing. I’ve always wanted to start drawing digitally and it’s really fun but also really hard. I’ve done a couple of drawing digitally, but I haven’t completed one yet. I still have some problems with the colouring part. 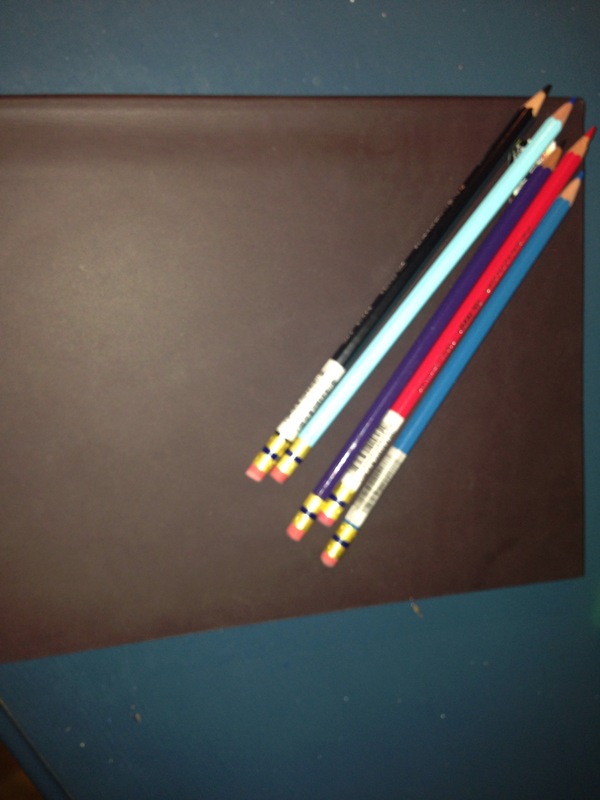 Here’s those new pencils and my sketchbook in the background. They are col-erase pencils by prismacolor. Here is a little drawing I’ve done in my new sketchbook. Sorry for the bad quality of the picture, some parts became really dark for some reason. The hands are really strange and I don’t think I was able to capture the movement like I wanted, but otherwise I like it. Not long ago I’ve downloaded two of the whitebbitpress apps for Ipad from there Japanese graded reader series. For the application they have four levels available from the level 0 (for beginners JLTP N5) to the level 3 (JLTP N4-3). In the paper version they also have a level 4 (JLTP N3-2). So here’s a little review of those applications. Each application includes a story with illustrations and the narration of the full story. They also have flashcard at the end for the different words that were present in the text and for the grammar points too. One of the biggest complaint I have is that it’s just for Ipad… I personally don’t have one, but my mother does so I’ve barrow it to read them. I think they were supposed to adapt it for iphone and ipod, but it’s still not done yet. I don’t know if they plan to have one for androids. If you don’t have an Ipad, you can still buy the paper version on that site. It seems to be pretty much the same as the application, but you don’t have the flashcards and you have five or six stories depending on the level. If you have an Ipad, I definitely recommend that you to buy those apps. From my own experience, reading that kind of book is really helpful to learn a language and also really satisfying when you realize you can understand. I’ve bought the story of the level 0 and 1 in the level one and I understand most of them even if I didn’t know all the vocabulary and the grammar. I think you can guest most of them without looking in a dictionary and after you’ve read the text look at those word with the flashcards.